I’m Howard. Like most people, I do a lot of different things. I do some of them for money. This site is where you’ll be able to find all of them, and it’s the only home for some of them. 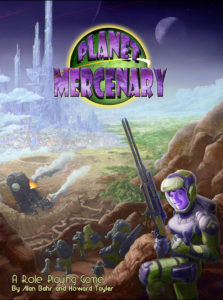 I’m probably best known for Schlock Mercenary, the online comic space opera that I created back in 2000, and which updates every day at schlockmercenary.com. It’s what currently feeds our family, and that’s awesome. 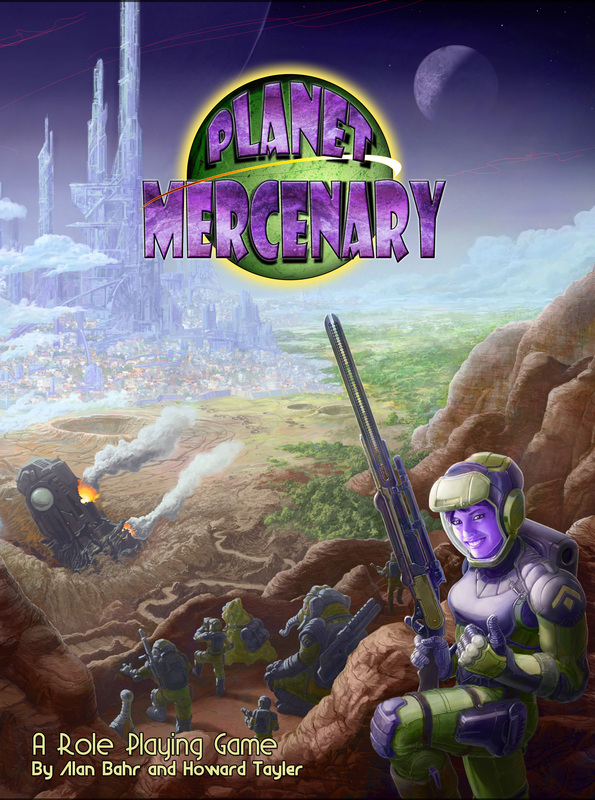 Related to that, back in 2015 I joined forces with Alan Bahr, and with Sandra Tayler’s expert help we launched a Kickstarter for the Planet Mercenary Role Playing Game. 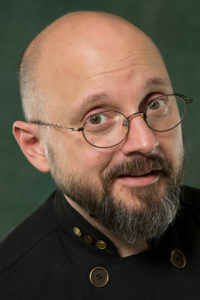 The project was very involved, involving several artists, three editors, and numerous play-testers, and it took just over two years to complete. I didn’t do any of the illustration, but I wrote a couple hundred thousand words. It shipped during the summer of 2017. 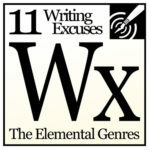 You might have heard my voice on Writing Excuses, the weekly podcast for genre fiction writers that I co-host with Mary Robinette Kowal, Brandon Sanderson, and Dan Wells. We launched that back in 2008, and it updates weekly at writingexcuses.com. 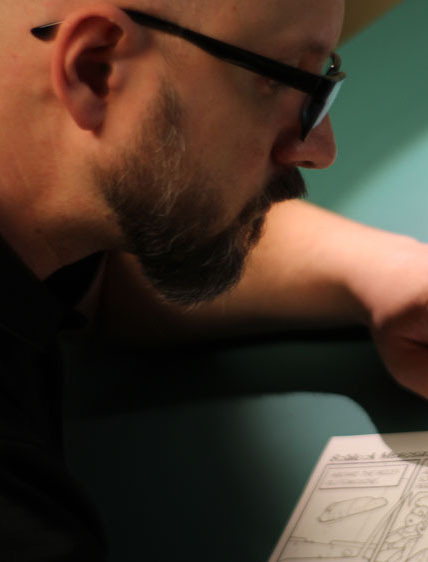 We’re in our 11th season now, and are doing some cool stuff. I also review movies, and I’m horribly biased. If you want to know whether I had fun at the cinema, you can follow my reviews at this site clicking on the “Movie Review” tag. Or that link. Looking for my prose? My Bibliography has the full list, or at least it will eventually. 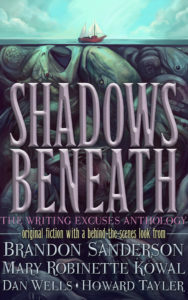 Most recently, my short story “An Honest Death” appears in SHADOWS BENEATH: The Writing Excuses Anthology. I’ve also done novelettes, novellas, shorts, and even flash pieces for Skull Island Expeditions (a Privateer Press imprint). If you like Lovecraftian horror, my work has also appeared in Space Eldritch, and Space Eldritch II: The Haunted Stars. I also write a lot. Usually it’s tweets, but sometimes I blog about stuff that is important. Or at least important to me. Or maybe just distracting, and I’m blogging my thoughts in order to get them off of my plate so I can get some work done. This site is going to be a veritable treasure trove of that stuff. Some of it will probably embarrass me. But who am I really? Beyond the things I make, and the people I love (and the cats who demand my fealty), beyond the physical features and the conglomeration of organic molecules I’ve bound up in my 50-year quest to forestall entropy, who am I? Seriously? How can I answer that? Look, the best I can do is say that I have been all of the Howards who wrote these journal entries, and each of them was a stage along the long, transformative path to the me of the now. And I’m just the latest stage. If you want to read the blog and meet all those other guys, be my guest.